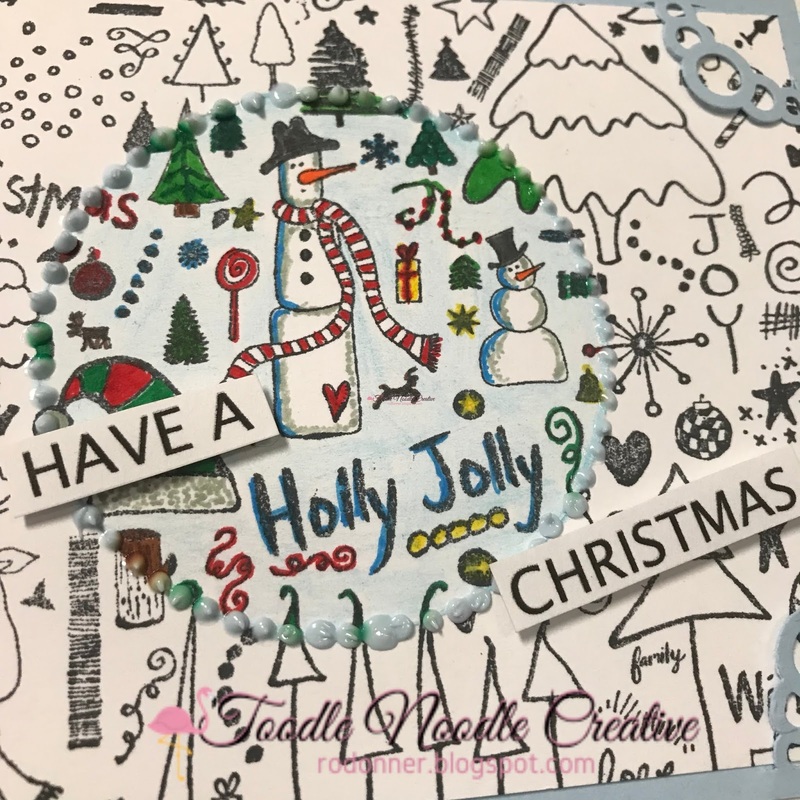 I have a fun spotlight card up on the Technique Junkies Blog featuring A Little Christmas Whimsy (there is even a discount code!). For full details, click H E R E. Here's a little sneak peak! NOTE: TODAY IS THE LAST DAY TO SAVE 30% ON CHRISTMAS STAMPS OVER AT TECHNIQUE JUNKIES! 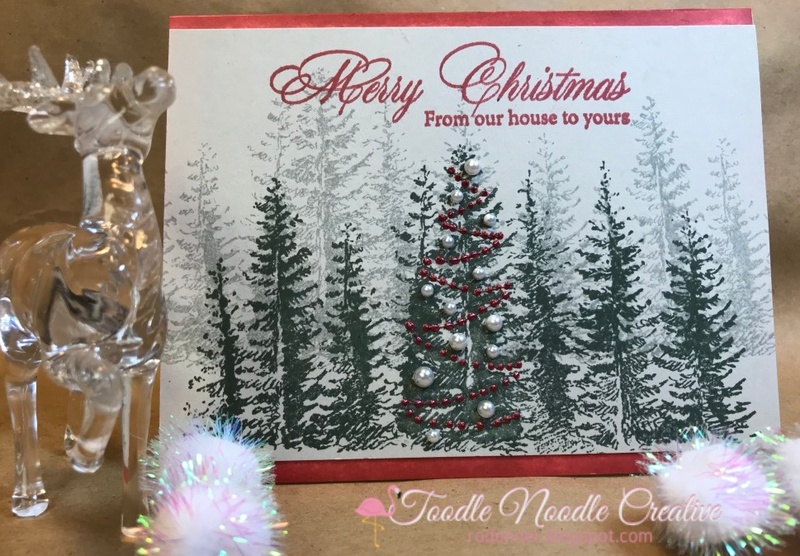 All Christmas stamps are 20% off, plus save an additional 10% using my special code (See bade to the right). 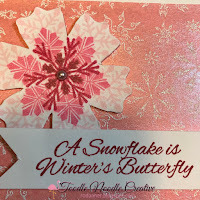 I just can't seem to get enough of these versatile snowflake stamps from Technique Junkies. 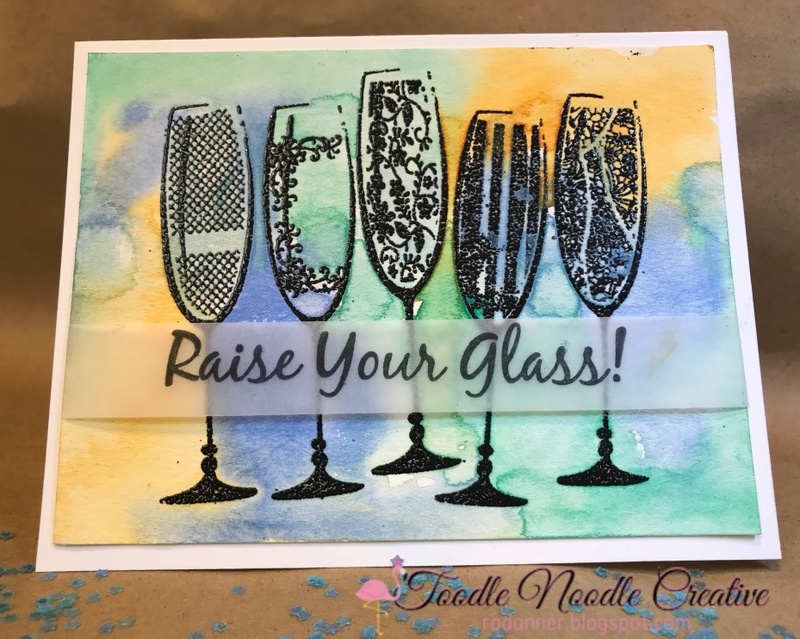 There are two sets that I have been using over and over (and over! ): Snowflakes (Set of 9) and Snowflakes. 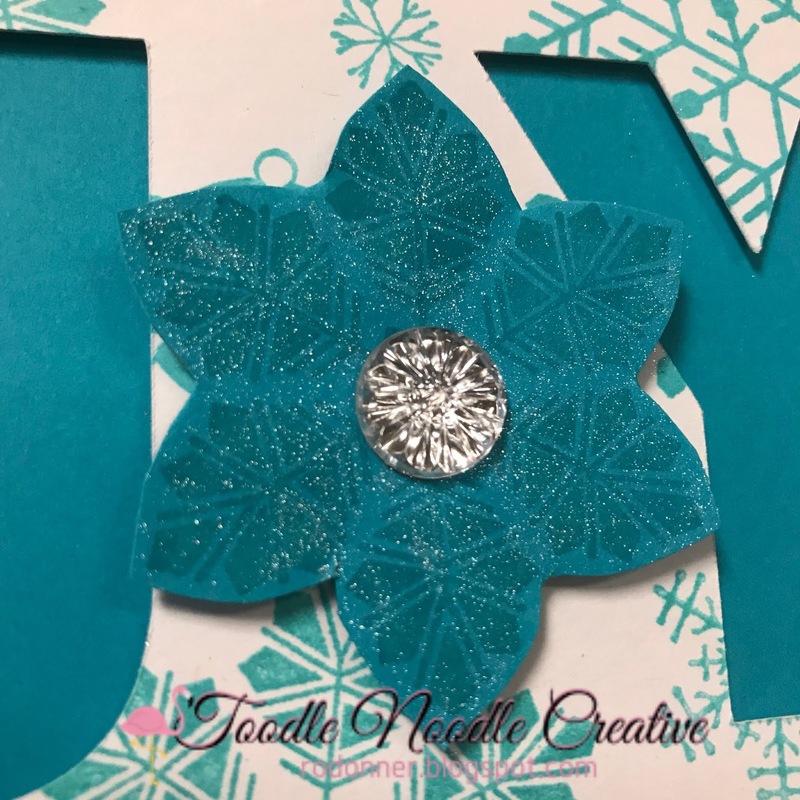 I created the background using my MISTI and several of the stamps from the two sets shown above (with a little filler snowflake from the set Let It Snow), all stamped with a teal stamp pad. 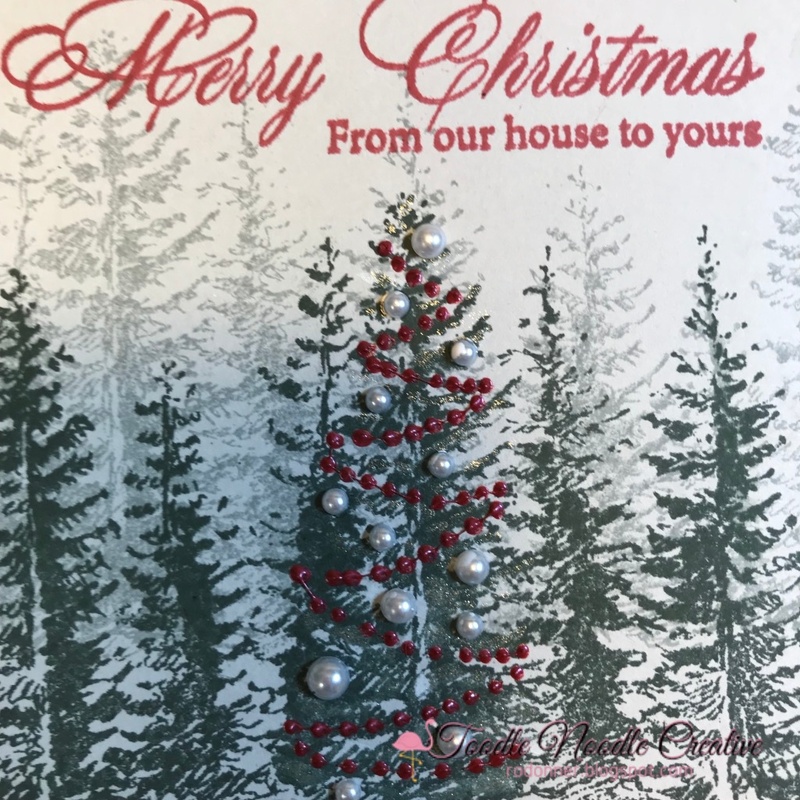 Then, using the Brother Scan-N-Cut, I cut out a "J" and a "Y" in the center of the panel, leaving enough space for a snowflake "O". 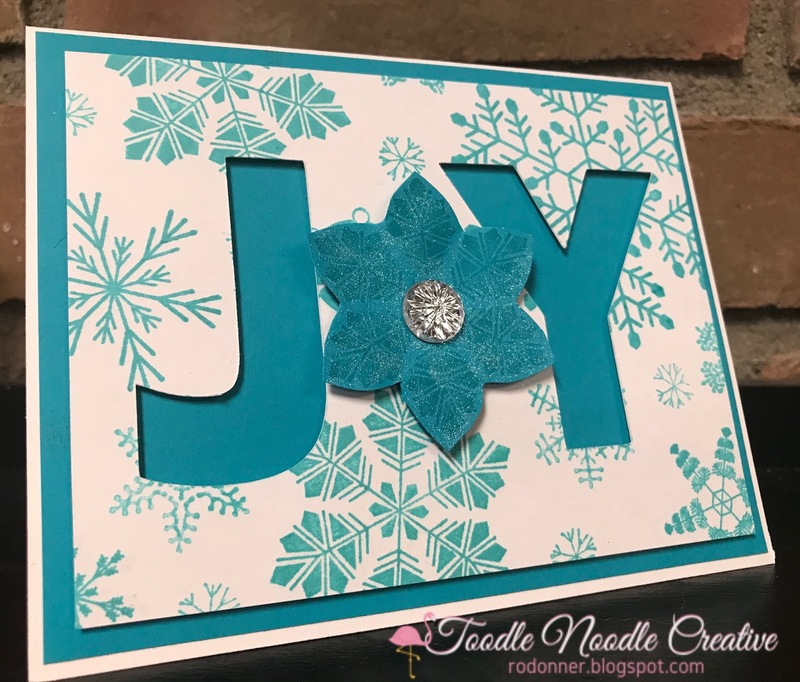 I trimmed the panel down and attached it to a layer of teal CS, then to the A2 card base. I then stamped one of the snowflakes on the same teal CS and trimmed it down. 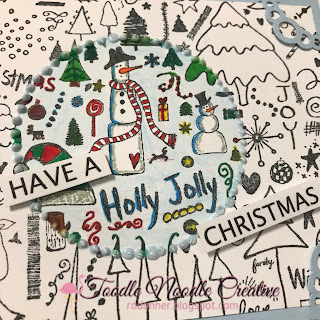 I added some shimmer using a Nuvo Glitter Gloss Aqua Pen. 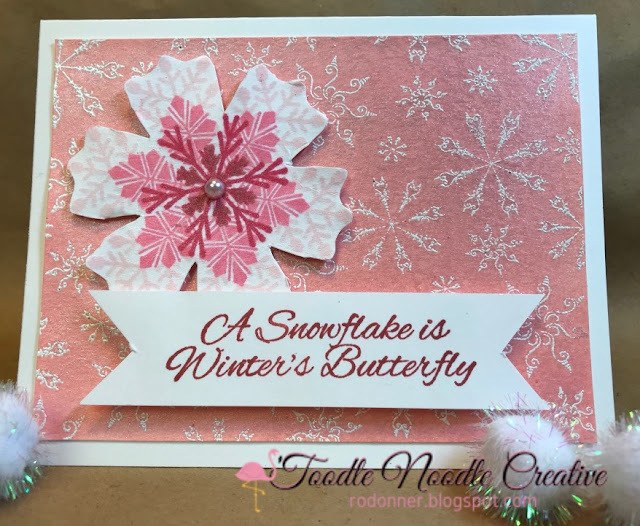 A little acrylic embellishment for the center of the snowflake, and some foam tape to pop the snowflake out a little, and this card is done! 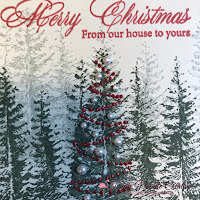 Here is a closer glimpse...oh that shimmer! 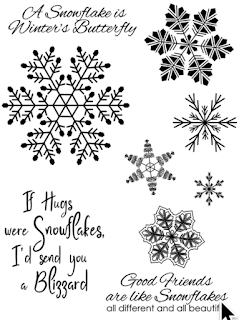 Now, tell me, do you love those snowflakes or what! 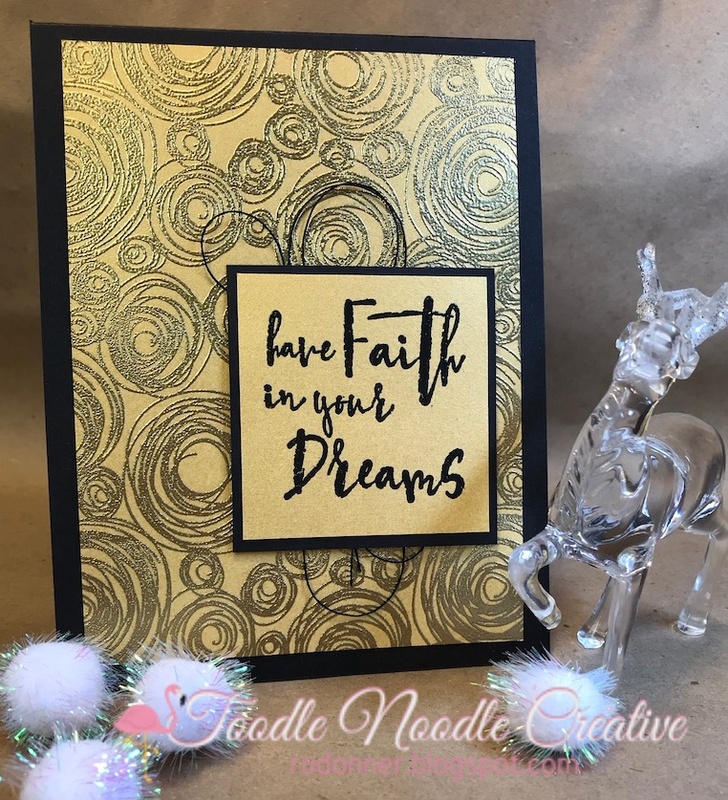 I also created a set of eight cards as part of a fund-raiser for my granddaughter's upcoming school trip. 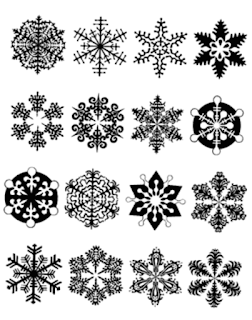 Just like snowflakes, no two backgrounds are ever the same! 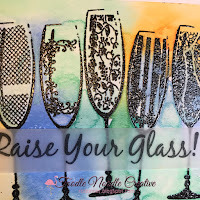 I hope you enjoyed this post and found some creative inspiration. 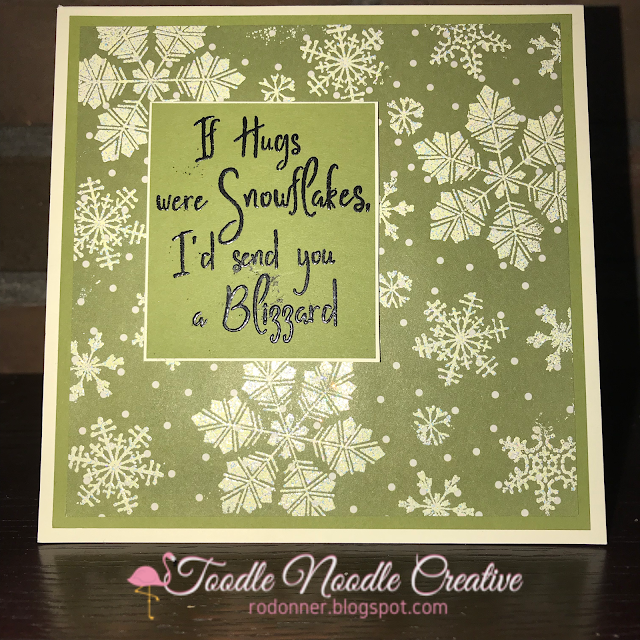 (Don't forget, you can save 10% on any of these stamp sets by using the code "TJ10Ro" -- see the badge on the upper right corner of my blog page). 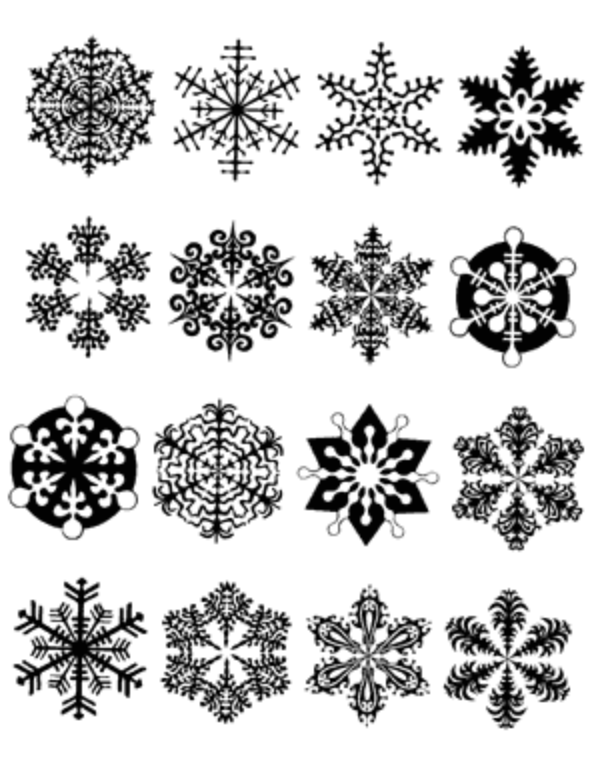 Notice that no 2 snowflakes are the same in either set! All the stamps are individual (even the set on the right!) so you can mix and match however you desire. 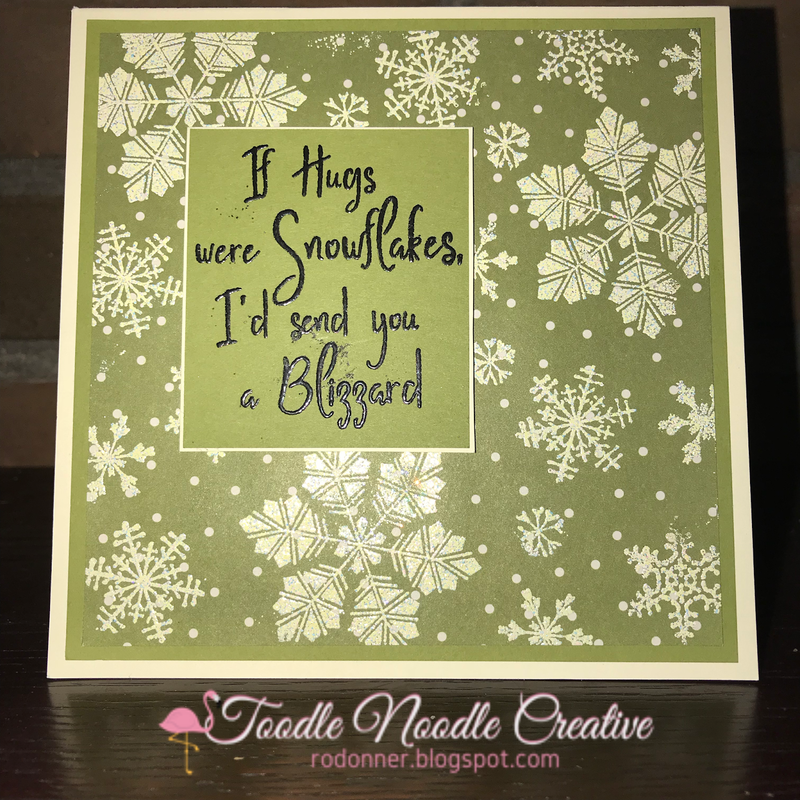 And the snow sentiments in the new set are great for all winter long! Hey! 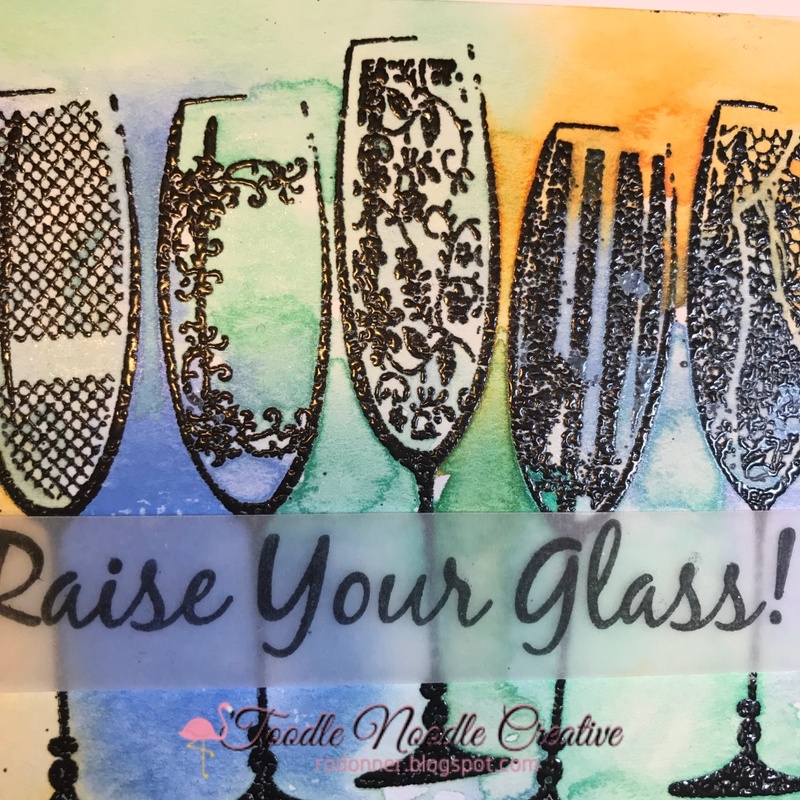 If you like them, I will let you in on a little deal! The ones on the left are on special for 15% off until tomorrow (11/8) - no code needed, discount taken at checkout. 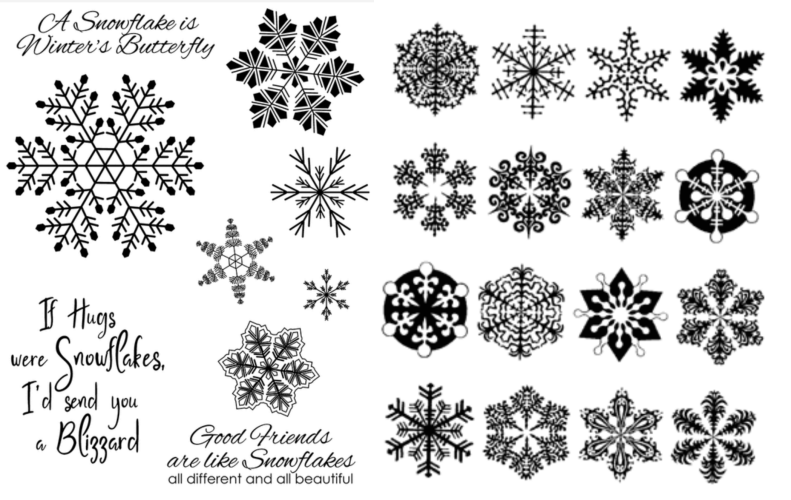 Plus, you can save an additional 10% off these stamps by using the code "TJ10Ro". With the discount and very reasonable shipping, you can get 25 stamps for less than $40. So each stamp is only $1.48. Now that's a deal! 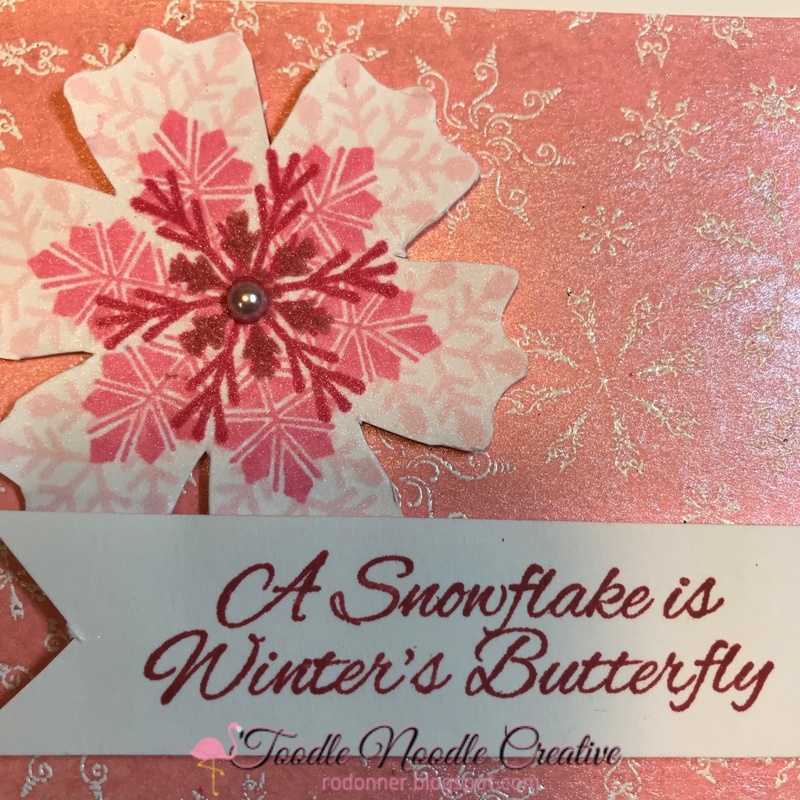 I wanted to make a special card for a special friend, and I wanted it to be a little different than the typical blue and white you generally see with a snowflake theme. 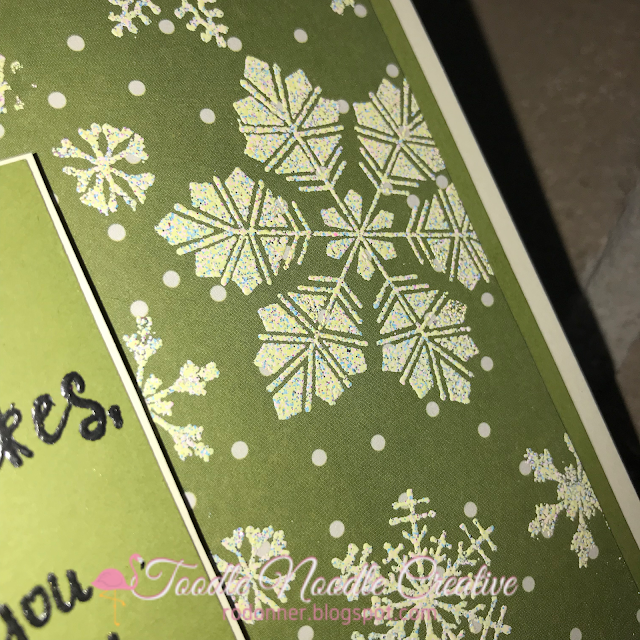 I had some really pretty olive green and cream polka dot paper and I thought it would make a fantastic backdrop for these snowflakes. So I created a 5.5" x 5.5" card using a cream CS with an olive green matting panel and added the elegant snowflake panel and sentiment I created with these sets. I love stamps that give you your money's worth. I am making some friend cards using the sentiments included. 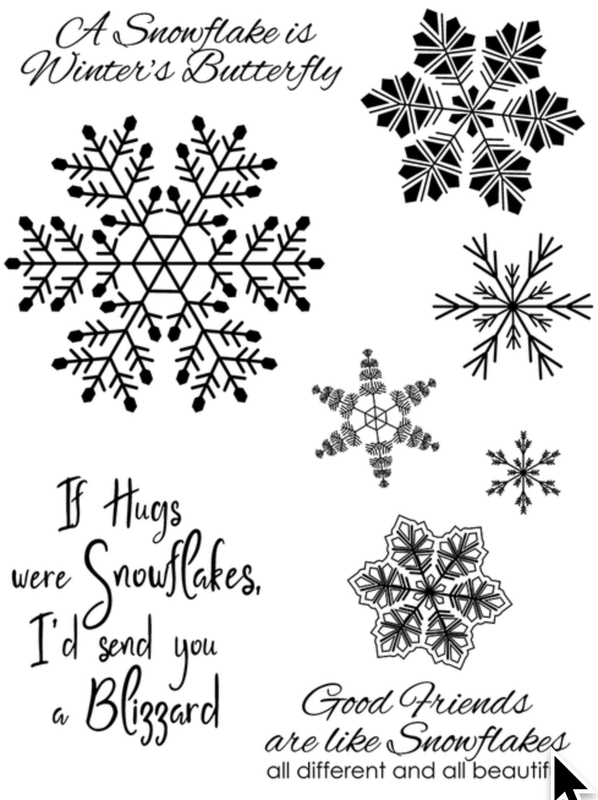 I am also using these snowflakes to make some fun Christmas cards to send out. 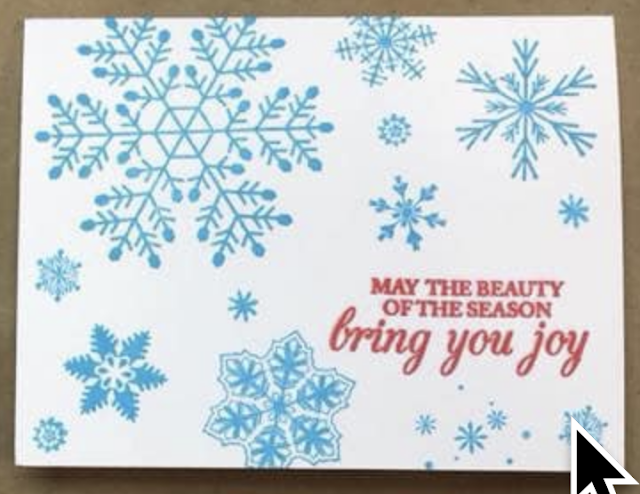 They would make a great background for the snowman in the Let It Snow set, too. 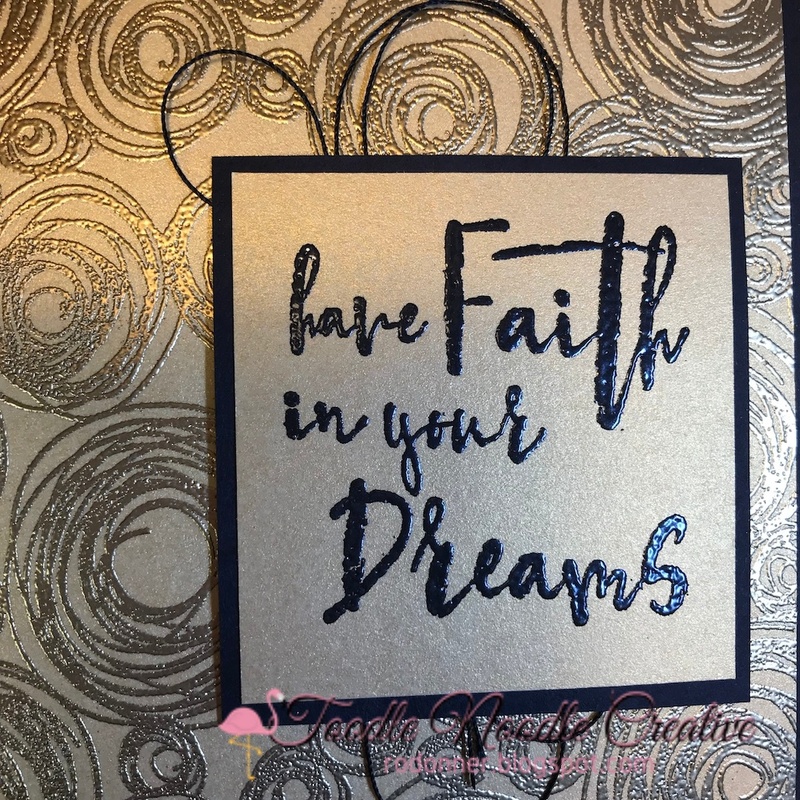 Hope you got some inspiration today! 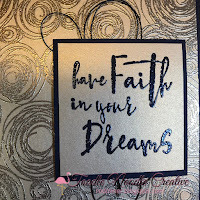 I'm happy to share what I love!